500 events in Milan’s gardens and allotments. 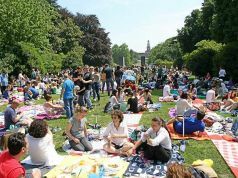 From 22 to 24 September, Milan will celebrate its 24 million sqm of green space with a calendar of over 500 events around the city. The third edition of the green weekend will start in the evening of 21 September with a meeting open to all in the Palazzina Liberty in Largo Marinai d'Italia, to discuss how to manage changes, demands and new challenges. 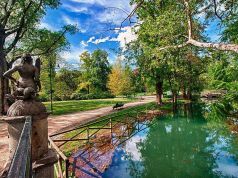 Seven new parks are about to be opened to the public in Milan, for a total of 700,000 sqm, now that the plan for the requalification of abandoned railway stations has been approved. 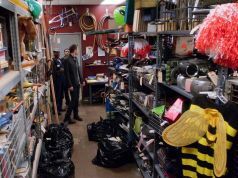 City hall representatives will be joined by officials from Lyon and Moscow parks departments, who have recently carried out similar plans, to exchange advice on best practice. 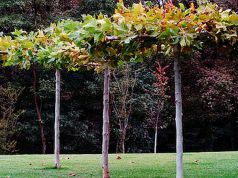 Among the initiatives, the park known as “Drugs Wood” in Rogoredo district, once haunted by drug dealers and their clients, is to be cleaned up and handed over to non-profit Italia Nostra for recovery and tree planting. Volunteers from Italia Nostra and Legambiente will spend 24 September performing the final clean-up and returning the park to local residents. More initiatives and events are set out in the programme for the weekend on the Green City Milan website.